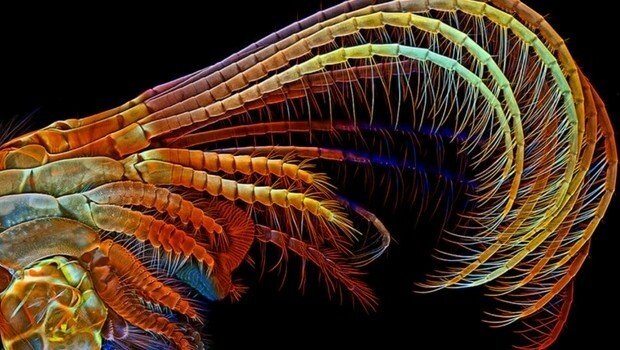 How often do we think about insects? Not too often, that’s for sure, at least if we speak about the ordinary person. As the matter of fact, we usually think of them in a way of how to get rid of them and their annoying buzzing, for example. It’s safe to say that most people don’t like bugs and insects walking around them. However, the insects world can be very interesting for a curious eye. 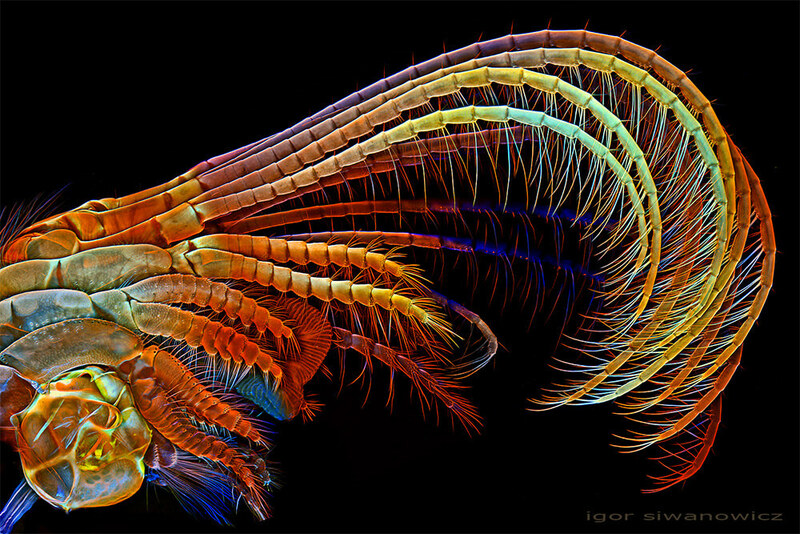 When you scroll down the gallery consisting extraordinary photos of microscopic images by photographer Igor Siwanowicz you’ll see what I mean. Remember when I said “ordinary person”… yeah, well Siwanowicz is not one of those, at least when the subject are insects. 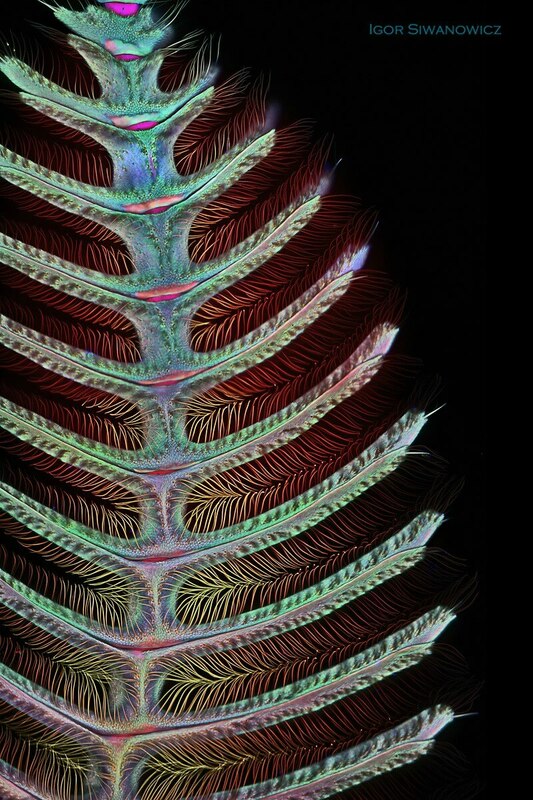 Some of the photos showing the tree-like structures of moth antennas, the wild details of barnacle legs, and the otherworldly shapes of plant spores are just some of many examples of Siwanowicz work as a neurobiologist at the Howard Hughes Medical Institute’s Janelia Farm Research Campus. 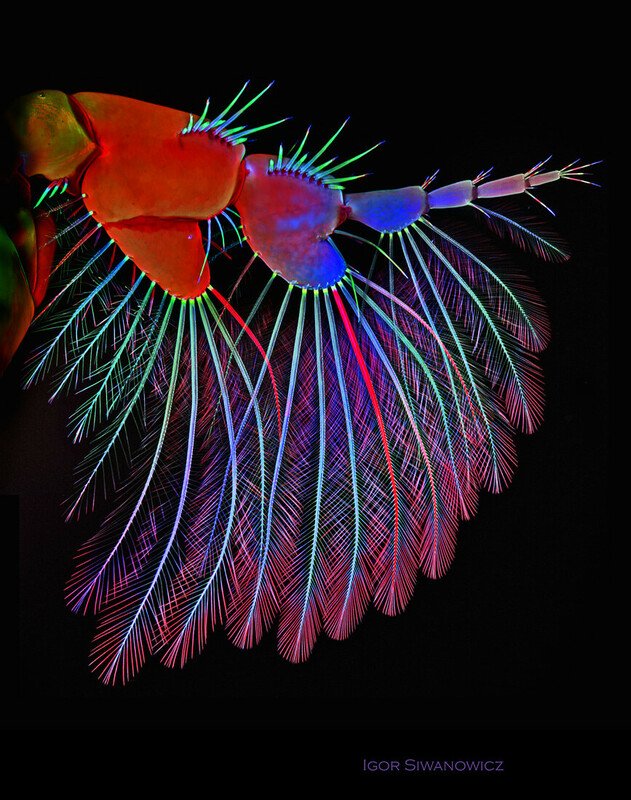 The photos are made with a confocal laser-scanning microscope which means they reveal more than a traditional lens-based microscope. Beautiful colorful world with extraordinary complexities presented in the smallest details is just in front of you to enjoy and perhaps to think a little bit more about the tiny world of insects than usual. If you like what you see you can check out much more of Igor Siwanowicz nature photography here. 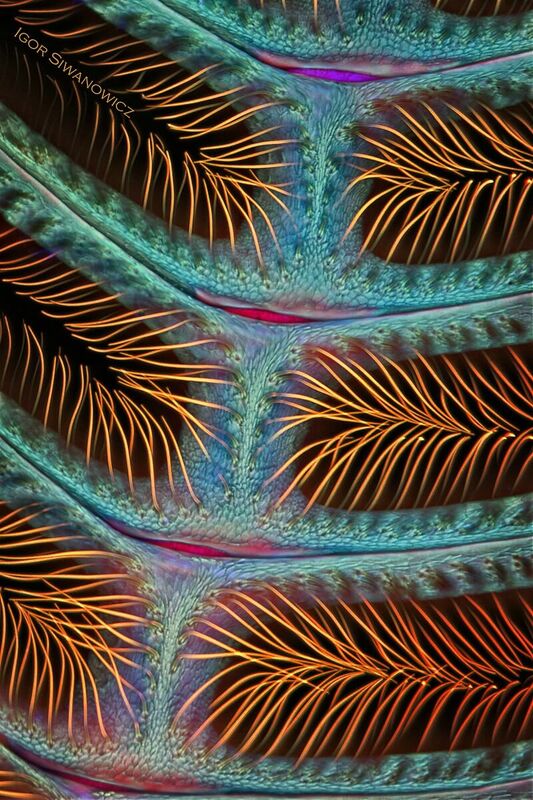 Barnacle – detail with extraordinary colorful patterns. 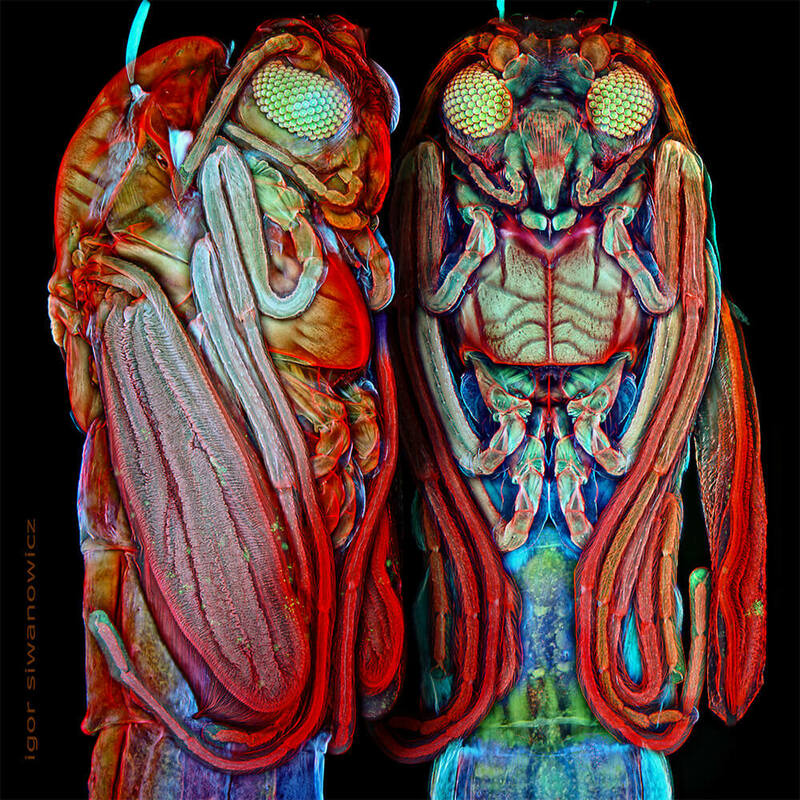 Midge Pupa – just like two aliens, don’t you think? 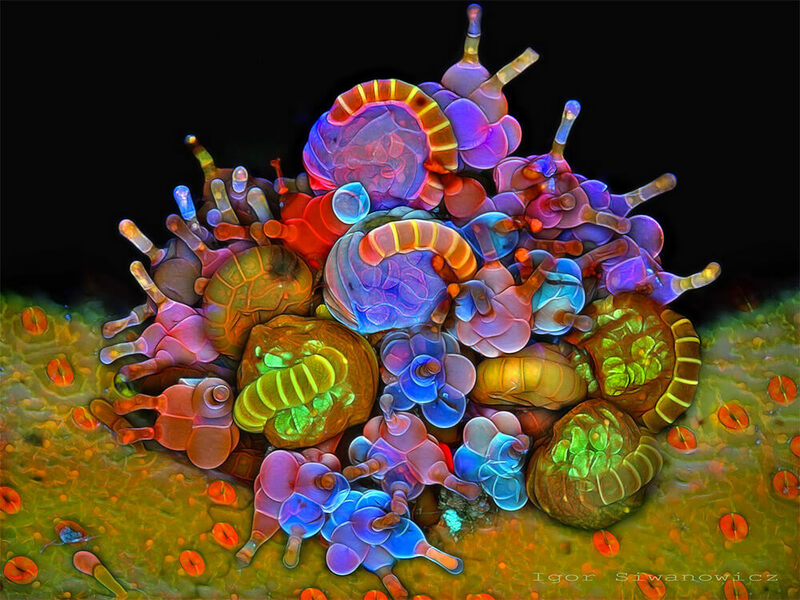 Paraphyses & Sporangia – awesome bubble of vibrant colors. 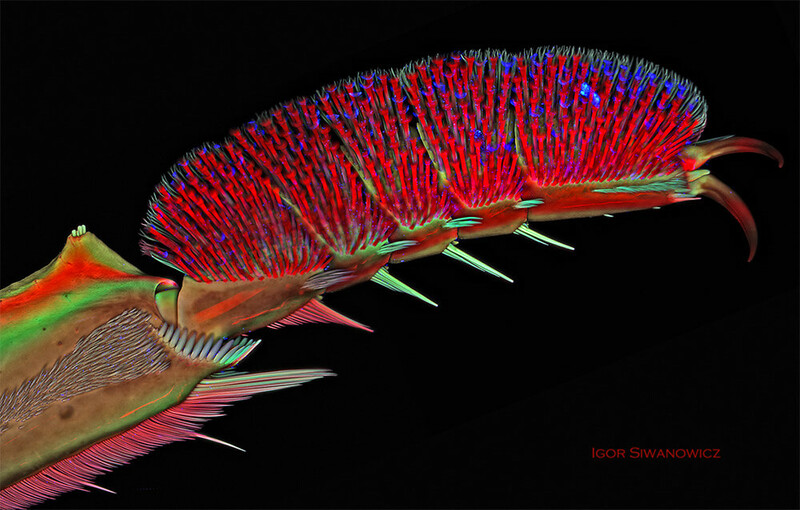 Isopod appendage – like some kind of neon feathers. 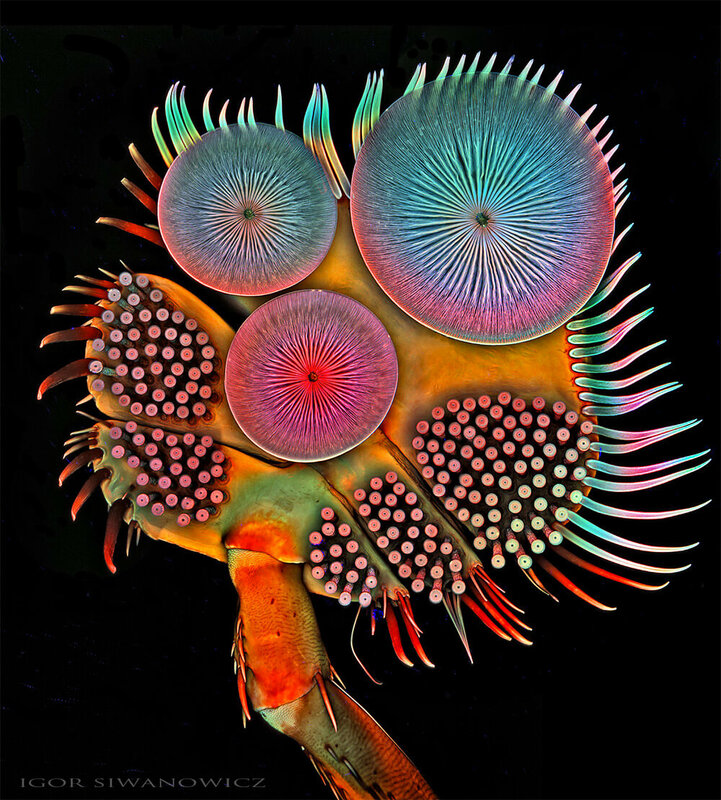 The front leg of whirligig beetle – the complexity of its leg is really unexpected. Moth antennae – I thought moths are grey.